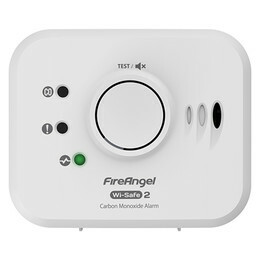 Our W2-CO-10X, Wi-Safe 2 carbon monoxide alarm is a 10 year battery powered, sealed-for-life, wireless interlink CO alarm providing complete protection from CO poisoning in the home. The W2-CO-10X sends a wireless signal to all other Wi-Safe 2 products when it detects CO, giving an early warning and better chance of escape. This CO alarm is suitable for wall mounting or freestanding offering greater flexibility in positioning. The W2-CO-10X contains an advanced electrochemical sensor designed to accurately measure levels of CO. The micro-processor within the alarm has the ability to externally interrogate the data in the memory, to report both the status of the alarm together with the last 10 alarm events history, including when they happened and the CO level at the time of alarm. This is vital if a CO incident were to occur. 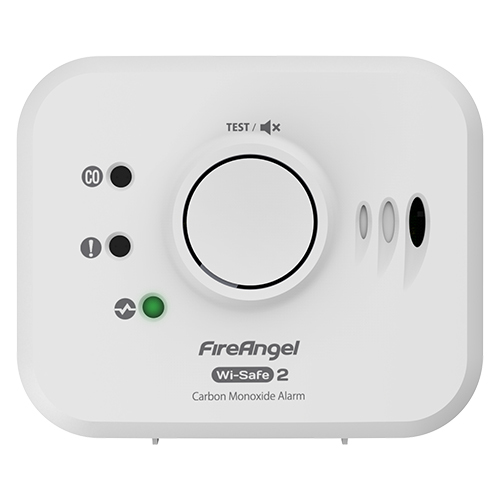 This CO alarm is suitable for wall mounting or freestanding offering greater flexibility in positioning. Portable and light, the alarm is ideal for caravans, boats and holiday homes. Sealed for life 10 year power pack.